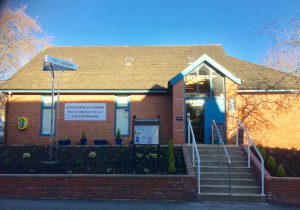 Ecclesfield Library Monday Readers normally meet on the second Monday of each month. The group will read one book a month, and then meet to discuss what they have read. The new reading group book ‘Six Four’ by Hideo Yokoyama is now available for collection from Ecclesfield Library. The next meeting, to discuss this book will be at Ecclesfield Library on Monday January 14th 2019 between 5pm and 6pm. Anybody interested in joining the reading group is welcome to give their name and contact details to the library desk, or email the library on .